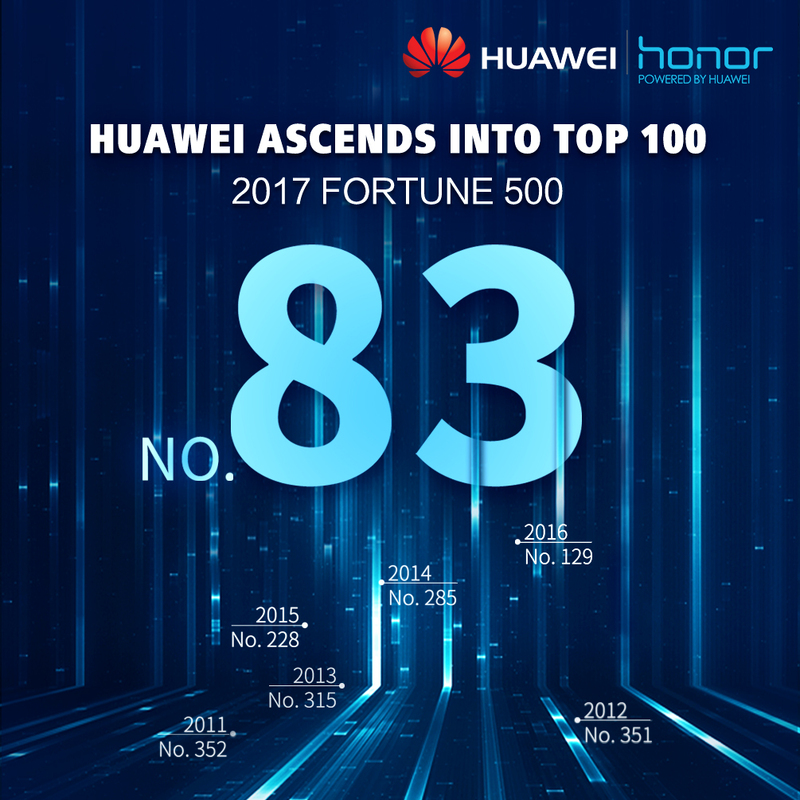 HUAWEI, the world’s third largest smartphone manufacturer, catapulted to the 83rd place in the 2017 edition of the globally recognized business magazine, Fortune’s, annual Fortune 500 list. Garnering a revenue of $78.51 billion, Huawei made it to the top global 100 for the first time, a phenomenal gain from the 129th ranking last year. The Fortune 500 list has always been the most prestigious and highly acclaimed ranking that grades large companies all over the world. Known as the “ultimate list”, it positions companies according to their revenues and profits, focusing more on the size compared to similar listings. The Fortune 500 rankings are seen as an important indicator by companies to measure their strengths, size and global competitiveness that transcends borders, nationalities and cultural differences. HUAWEI’s brand value has risen considerably owing to its consumer-centric business ideology. The global conglomerate has seen its stock rise from being ranked 352nd in 2011 to 83rd in 2017. 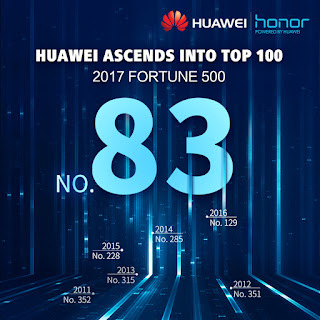 This meteoric rise is also recognized by multiple credible rating agencies who have shortlisted HUAWEI for several globally recognized brand value lists.For example, HUAWEI was the only Chinese company to make it to the World’s Most Valuable Brand List released by Forbes in 2017; ranked 49th in the 2017 BrandZ Top 100 Most Valuable Global Brands list; and climbed 7 places compared with last year toNo. 40 on the Brand Finance 2017 Global 500 list of the top most valuable brands in the world. As one of HUAWEI’s three business groups, HUAWEI’s Consumer Business Group is committed to becoming a signature culture and technology brand popular among consumers worldwide. According to market research statistics from wide-acknowledged agencies such as IDC, SA and Trendforce, HUAWEI ranked third in terms of market share in the global smartphone market in Q1 2017. In India, with its array of innovative products which are customized Huawei is successfully working towards replicating this global success under brand Honor. Both Huawei and its sub-brand Honor have won the heart of many consumers, building a solid foundation for HUAWEI to increase its impact in the Indian market.